Maybe you tripped on your way to work and chipped a tooth on the sidewalk, or maybe your son or daughter is crying nonstop because of a pain in their mouth. When these scary situations occur, the last thing families want to hear is that their chosen dentist can’t see them for another two weeks. At San Pedro Smiles, Dr. Gonzalez prioritizes emergency care and will make time to see you on the same day as your initial call. Better yet, phone service is always available (even after-hours) so that we can arrange relieving treatment as soon as possible. If you’re in the San Antonio area, don’t hesitate to contact us today! When a tooth is cracked or fractured. When a dental restoration (such as a crown or filling) has been badly damaged or lost altogether. When a tooth has been partially dislodged or entirely knocked-out. 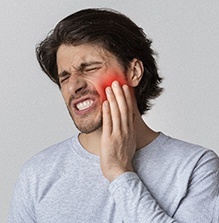 When a patient is experiencing severe, lasting oral pain. When a patient has a significant gum tissue and/or jaw injury. When a patient is experiencing sustained oral bleeding. 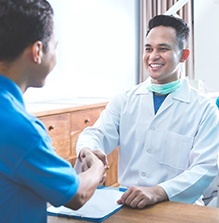 Make sure that you’re scheduling regular checkups and cleanings every six months at San Pedro Smiles! 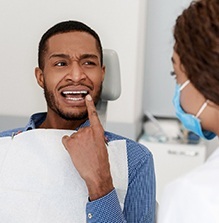 Our team will be able to find dental issues at their earliest stages and treat them before they turn into serious problems down the road. Be very careful when eating foods that are super tough, hard to chew, or sticky. Also, don’t chew on the ice that comes in your drink. Remember to use scissors when opening difficult packaging and not your teeth! Always wear an oral appliance if you struggle with bruxism (teeth grinding) and/or regularly play sports with physical contact.